Army Sgt. 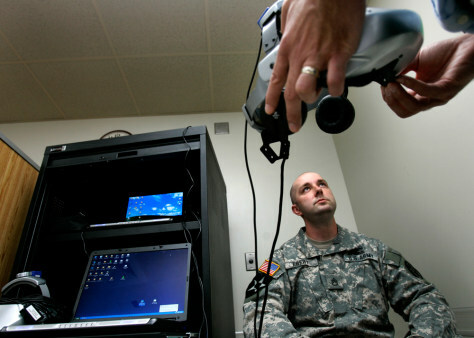 Jeff Ebert prepares to return to the war in Iraq through virtual reality at Madigan Army Medical Center at Fort Lewis, Wash. Psychologists plan to treat soldiers suffering from post-traumatic stress disorder by making them go back to the battlefield — virtually.